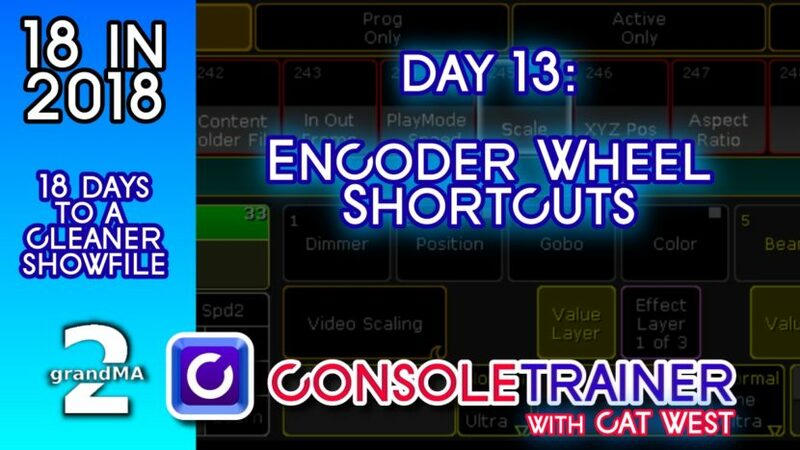 Home » Posts tagged"encoder wheels"
On our thirteenth day of 18 in 2018, we're going to make getting the attributes we want to work with onto our encoder wheels faster. If you've ever had to click around your wheels looking for where that parameter might be located, this will help. Most consoles allow for inverting pan and tilt because, well, you gotta have it! 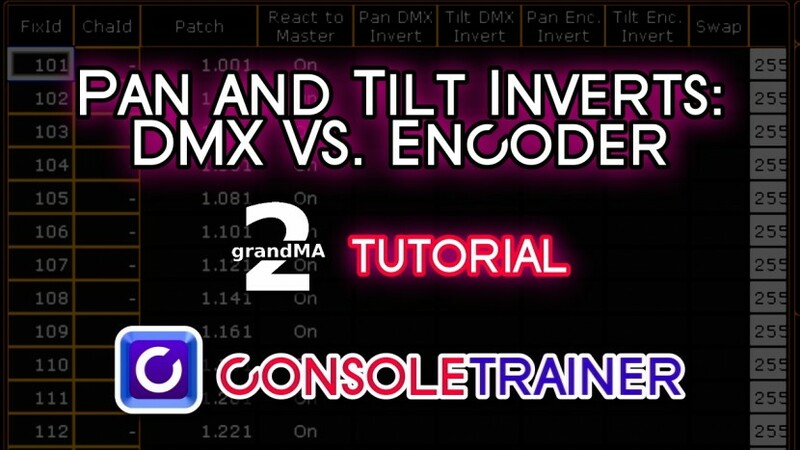 The MA offers you two different ways to invert pan and tilt, so lets look at both. Selecting fixtures, modifying parameters, and understanding the Programmer Window.